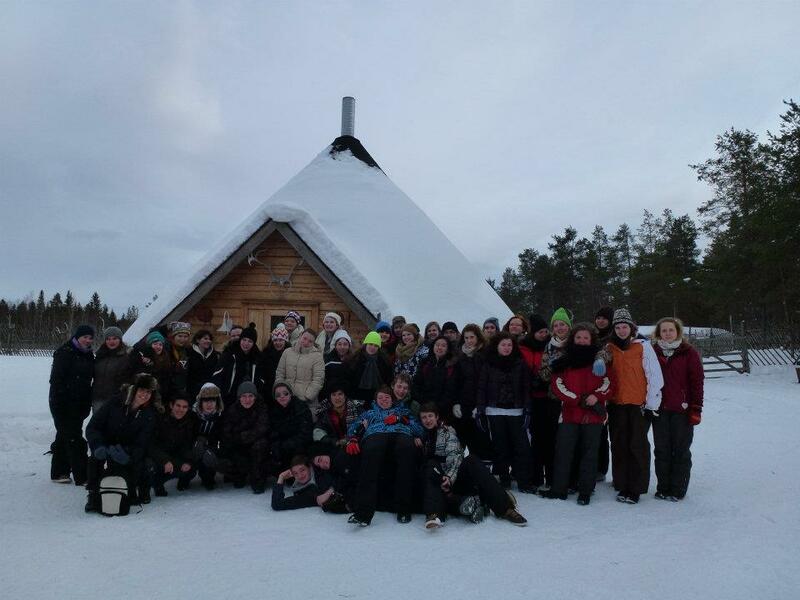 A few weeks ago about 40 YFU exchange students had the chance to go to Lapland, and it was amazing there! So now I want to tell you something about our week in Pyhä. We left Helsinki on a Monday morning in March. Our bus travelled all the way through Finland, and after 16 long and quiet hours we finally arrived in our hostel near the Pyhä fell. The snack was served and the beds were made, so we were able to check in, eat, talk a bit or just go to sleep. 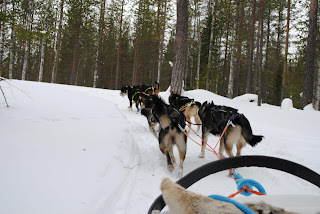 On Tuesday we started our program with a visit to the “Arctic Husky Farm”. 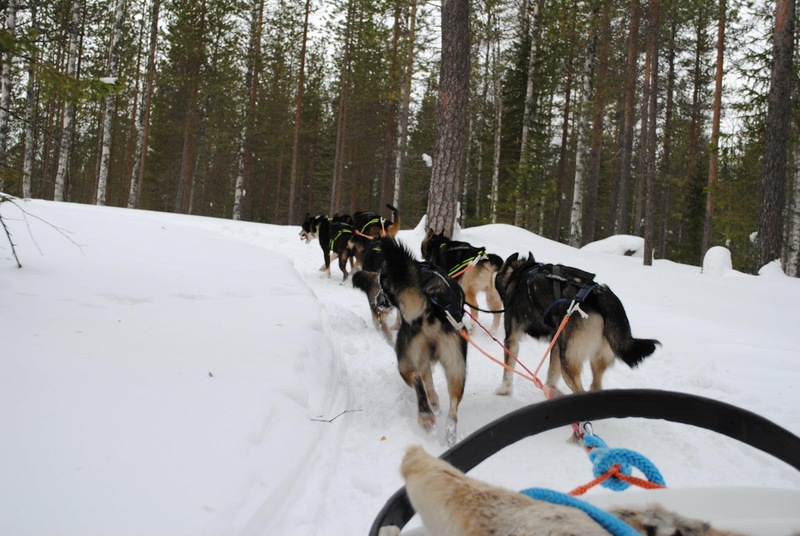 It was very nice, because we had the possibility to go mushing. After this, we watched all the dogs and the puppies. The operators gave us information about the dogs, and how they train and feed them. After having lunch at the hostel we visited a reindeer farm. 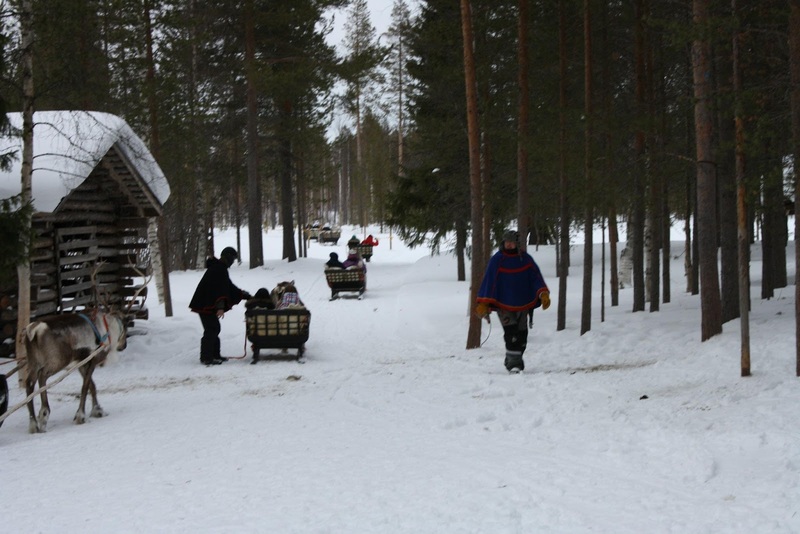 There we went for a reindeer sleigh ride and got our own "reindeer sleigh driver's license”. So now we have a five-year permit to drive such a sleigh. Afterwards we could feed the reindeers. While we were having a cup of coffee and some sweets, our guide showed us photos of the animals. 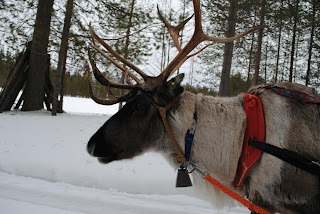 She told us how the reindeers live free in the nature and lots of other interesting stuff. Every reindeer farmer has his own special pattern or a mark which they cut in the ears of the reindeer babies, so they are always able to recognize their own animals. 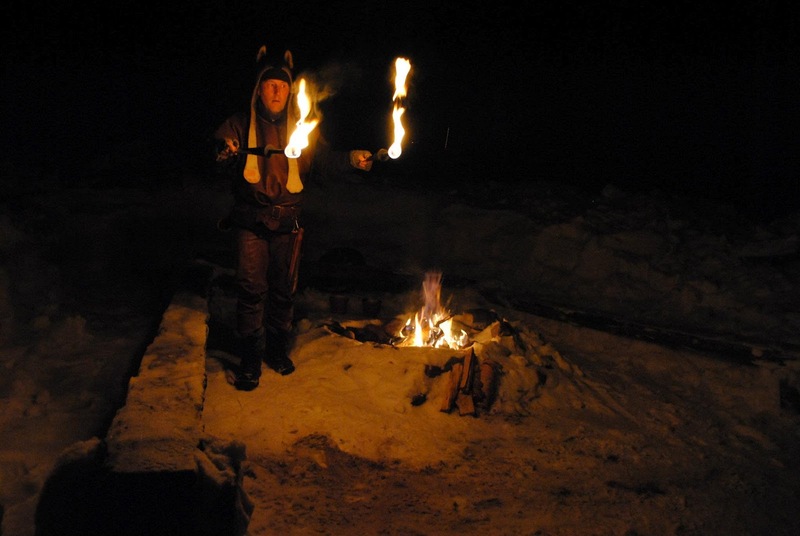 In the evening we saw a shaman show. I thought it was funny because the guy who was doing it had a quiet black humor. We started our days with a good breakfast, including lots of porridge. Seriously, I don't know if any other nation eats “puuro” in the morning. After this we had the possibility to choose between downhill skiing, snowshoeing, cross country skiing or ice fishing. I hope I can speak for us all, when I say, that every activity was just a lot of fun. In the evenings we went to sauna, ice swimming and had a little snack in the dining room. I guess the week’s highlight happened on Friday. 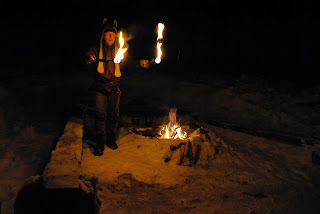 After our daytime activities, we went to Sodankylä to hear a presentation about the Northern Lights. It was very interesting and when the speaker finished her oration, we were like under a charm. We all really wanted to see the Polar Lights – and we were lucky! We saw them in blue, red and green. They were dancing over us in the sky. It was just awesome! I am sorry, but I can´t describe this experience in words. The next morning was very said, because we had to leave again. But I hope I speak for all of us when I say that this week was one of the highlights of our whole exchange year. Kiitos paljon, to everybody who made this trip possible!